Carole Dickens, a registered nurse, stood before the black congregation at Lakeview Community Temple in Memphis, Tenn., urging them to get a mammogram. Anyone who’s uninsured, she said, might be eligible for a free screening. Dickens, who has light brown skin and wavy silver hair, told her audience that she also belongs to a Church of God in Christ church, a predominantly black Pentecostal denomination with Memphis roots. After she spoke, she passed around a form and women began signing up. Preventing and treating chronic disease for low-income patients is one of the most vexing and expensive public health problems in this country. Factors like poor diet and education, distrust of authorities and lack of access to primary care contribute to high rates of conditions that, once they arise, require decades of care. We can’t calculate the cost in joy and fulfillment of premature death and disease. And the financial toll approaches similarly metaphysical heights. In 2011, taxpayers covered an estimated $414 billion in spending on Medicaid, the government health program for low-income Americans. That price tag excludes direct and indirect including major portions of care for low-income veterans and seniors. In the middle of the last decade, Methodist Le Bonheur Healthcare, Memphis’s largest hospital system, began teaming up with churches to address the city’s abysmal health situation and reduce the cost of care. This collaboration has grown into the Congregational Health Network, which has received attention in national public health circles, and from the Obama administration, for reducing the costs of care and improving outcomes for low-income patients. The Memphis method offers lessons to hospitals nationwide wrestling with similar problems. But successfully replicating the program will depend on hospitals’ ability to rethink their function in the communities they serve. Could the answer really be as simple as a woman testifying in church about the importance of mammograms? As the pastor preached, Dickens, the nurse, and Dorothy Seawood, her point woman at the church, stepped outside to talk shop. They made plans, and caught up on news, but the conversation kept returning to their mission: how to engage congregation members in their own health. "A whole lot of it is misinterpretation of scripture,” Dickens said. 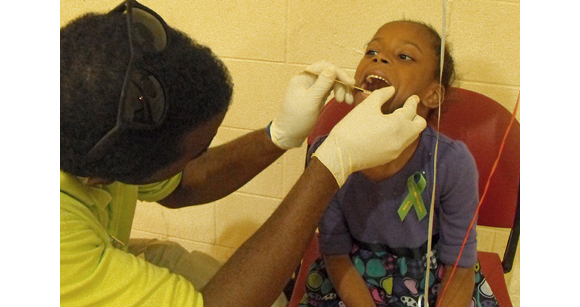 The false promises of the post-Jim Crow South live on in the city’s health disparities. According to recent statistics, the infant mortality rate for Black Memphians is 13 per 1,000 live births, compared to four for whites. Black Memphians with diabetes are more than three times as likely as non-black diabetics to have a leg amputated due to complications from their disease. Hospitals and churches both receive us at times of vulnerability and weakness, but medicine and religion are not always easy allies. Hospitals heal bodies, while churches aspire to something more abstract. Hospitals, Gunderson said, generally function by homing in on a patient’s condition. He wanted Methodist to better understand who and what else patients could access outside the hospital that might contribute to their health. Before coming to Memphis, Gunderson had directed the Interfaith Health Program at the Rollins School of Public Health in Atlanta. While there, he worked with communities in Africa to identify local health resources in a process called “asset mapping.” An asset might be tangible, like a local charity, or ephemeral, like prayer. When Gunderson arrived at Methodist, “Dialysis clinics were then popping up all over our community,” Bobby Baker, CHN’s director, said. “We were seeing dialysis patients in their early 20s.” Some hospitals, would have begun with a small pilot program. But, Baker explained, the city’s needs were too urgent. “We're trying to elevate the level of health in the community,” he said. “We've got egregious poverty, income disparities, heart disease, and diabetes.” To Baker and the leaders at Methodist, only a more ambitious campaign could make a difference. From a financial perspective, a sweeping measure made sense as well. At the time, Methodist was treating sick patients instead of preventing illness; this is to say, it was acting a lot like a hospital. But Methodist’s leaders had an incentive to change. As a major provider of indigent healthcare, the hospital could choose between mitigating illness or waiting to provide expensive, often unreimbursed care later. “It was a “pretty straightforward economic case,” Methodist CEO Gary Shorb said. Gunderson’s “asset map” concept may sound a little airy, but when applied to Memphis a valuable alignment of resources reveals itself. One asset is Methodist, a faith-based hospital system with facilities around the metropolitan region. Memphis also boasts roughly twice as many churches per capita as New York and Chicago, and religious life has long been central to African-American life in the city. Memphians also appear to be devout. A Methodist survey in 2006 found that 70 percent of patients with outstanding bills said they had been to church in the past month. To succeed, Methodist has to overcome a long-standing distrust of the medical establishment within the black community. During the infamous Tuskegee experiment, doctors withheld treatment from poor, black men infected with syphilis for decades to observe how the disease ravaged and killed the men. The program ended in 1972. One of Tuskegee’s enduring legacies, I heard repeatedly, is that aspects of medicine that suggest research or withheld care, such as hospice, are particularly fraught subjects in the black community. Memphis, where hospitals were segregated, for both doctors and patients, within the living memory of seniors now entering intensive years of medical care, is not well positioned to overcome these historic wrongs. In general, collaboration depends on people comfortable enough in their own worldview that they do not fear differences. The congregation is the place where such risk taking faith is formed and reinforced … It is easy for utilitarian collaborations to run roughshod over the source of enduring community connection. This happens when houses of worship are viewed as mere delivery points for health interventions or, conversely, when public health agencies [or hospitals] are viewed as mere funding agents to support church programs. A little perspective could help here. If a religious tradition has survived for 3,000 years it deserves credit for its insight into how the world works. On the other hand, for 2,900 of those years we were generally satisfied with a life expectancy of less than 50 years. Public health science deserves most of the credit for extending that to 75 years in the last century. Maybe health scientists know something too. For a document addressing matters as portentous as health and faith, the covenant reads like a bland memo. Its achievement is avoiding the implication that the hospital is taking advantage of the partner churches. “We're very intentional about not using hospital language, very intentional using the language of the clergy, using the language of the congregations, because this was not a hospital program. It's a community program,” Baker, an imposing bald man who dresses in pinstripe suits, said. The process of writing the one-page document collaboratively lasted about six months, Baker said. As a pastor explained to Baker, “‘I'm a shepherd. I've got to be careful how I lead my sheep." The pastors finished the Covenant in 2006, and since then more than 500 churches have signed the document. Most, but not all, of these congregations are predominantly African-American. Here’s how the Congregational Health Network functions: The director oversees 10 navigators who have training in fields like nursing and community organizing. (Carole Dickens, who told the church about mammograms, is a navigator.) One or two unpaid volunteers at each church serve as ”liaisons” and work with navigators to promote healthy living in the congregation and work with anyone who’s sick. When a patient in the network arrives at the hospital, she shows a card identifying her as a CHN member. Just as an insurance card activates monetary resources, the card activates her social safety net. Her church liaison is notified and her fellow congregants commit to support her by making hospital visits and praying for her recovery. But CHN relies on more than just the power of prayer. Before the hospital discharges a CHN patient, she’ll discuss her situation with a navigator or liaison. Does she understand her drug regimen? Will she need help with cooking or cleaning? Does she have a way to get to church, the doctor or the pharmacy? Would she like a daily phone call or to have conversations about spiritual concerns? By determining a patient’s needs, the liaison can then facilitate her recovery. More than 16,000 people have signed up for CHN, but the hospital believes the network reaches far wider. People who register up tend to be older, active churchgoers who are “planning to get sick,” one Methodist employee explained. But the member churches estimated 200,000 members could access CHN’s benefits if they suddenly need them. The data is impressive. Methodist says that CHN members, many of whom are living with chronic diseases, are staying in the hospital for less time since they enrolled and the cost of caring for the same patients has fallen since they joined the network. A study of CHN patients showed that after discharge, a group of them stayed out of the hospital for a median of 426 days compared with 306 days for patients not in the network, an improvement of almost 40 percent—hospital administrators are watching readmissions data closely because the Affordable Care Act penalizes hospitals when patients are readmitted within 30 days. Over a three-year period, CHN members also had a significantly lower mortality rate. Methodist says CHN costs it about $1 million per year to run, not including outside grants, and saves the hospital $4 million in annual costs. “This is one of the iconic successes around the country,” said Thomas Cannell who studied the CHN and is developing a similar, though so far much smaller, program for New York City’s health department. As a secular system, all kinds of community organizations can join, but so far, he said, all of the nine member groups are churches. Many urban hospitals have community outreach programs. Methodist’s most impressive accomplishment, Gunderson said, is “to hold the trust of hundreds of congregations in a city as traumatized as Memphis.” If hospitals nationwide could replicate CHN’s results, they would restore countless years of healthy life. They would also save billions of dollars. The ZIP code 38109 forms a crude triangle at the southwest tip of Tennessee, wedged between Mississippi and the Mississippi River. Forty-six thousand people live there; almost all are black and more than 28 percent live below the poverty line. 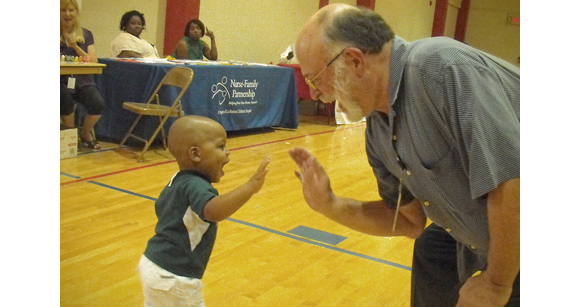 In early August, Methodist hosted a health fair at a community center gym in 38109’s Riverview-Kansas neighborhood. A DJ blasted party anthems as visitors sat for blood sugar, cholesterol and blood pressure tests and received individual consultations. A national pharmacy chain distributed pamphlets on childcare and coupons for essential items. Walking around the perimeter, a visitor could grab a meager packet of school supplies, find information on free birth control, and score a stress ball; boys started throwing them around the room and launching them at baskets. Outside, at regular intervals, boards covered the windows of the area’s solid brick bungalows. Buildings that had once been stores looked like they had been burned or allowed to collapse. The gray muggy afternoon contributed to the gloom. Someone had painted “If you are not spending money do not enter store” on the wall of a “grocery” near the community center. In this neighborhood, “The closest you’ll get to a fresh fruit or vegetable might be a potato,” a navigator said. No such luck. But the store did stock individually packaged pickles. Earlier this year, Memphis’ superintendent recommended closing the nearest high school due to gang activity and financial concerns, a move that would yank away another potentially stabilizing element. Elvis Presley Boulevard runs one mile to the east and the major thoroughfare is so saturated with fast food restaurants that one Methodist doctor calls it heart attack row. After a few days in Memphis, I had lunch with Bobby Baker and the pastors of two CHN member churches in southwest Memphis, Eric Winston and James Kendrick. After grace, we dug into beef lasagna, salads and pork chops in a private hospital dining room. The pastors good-naturedly one-upped each other with parables and quotations from scripture before they turned to their congregations’ health. Progress can be slow. Winston remembered men telling him, “Pastor I’ve never had the finger.’ And what they mean is that they’ve never had the doctor stick their finger in their …” he searched for the word, “behind, and check the prostate. ‘But I’m going.’ See, that’s a breakthrough moment for a lot of guys. Pastor Eric L. Winston at his church in Memphis. Courtesy of the Mt. 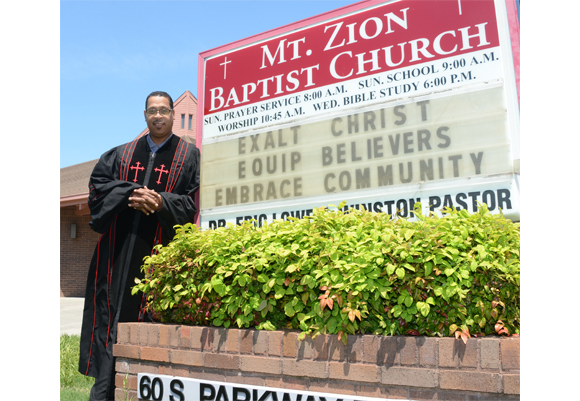 Zion Baptist Church. Russell Belisle, a CHN navigator, is a large man with a goatee and a lumbering gait. A longtime chaplain and pastor, he possesses an almost charismatic patience, as if he can calm the molecules in the air. When Belisle visits patients in their rooms, he prefers to sit down next to their bed. By bringing himself to their level, he embodies CHN’s thinking. He’s also a patient advocate. A woman with no teeth shouldn’t have a plate of solid food. A patient whose door sign says she can’t eat or drink shouldn’t be whaling on a BBQ pork sandwich. Belisle told her to enjoy the sandwich, and then notified someone in the hall. As a navigator, Belisle asks patients if there’s anything he can do. One woman complained and he let her. When patients ask him to pray with them, he leads them in prayer. In these gestures Belisle doesn’t individually restore people to health. But his efforts to monitor and support patients month after month contribute to CHN’s progress. Following him for an afternoon, I couldn’t evaluate the results of his work; measuring the entire CHN’s impact presents an exponentially greater challenge. The Department of Health and Human Services’ Agency for Healthcare Research and Quality rated the strength of Methodist’s data “moderate.” In essence, this means that the success seen in CHN patients might not be caused by the network itself. Research shows that people with strong social support networks are healthier, so going to church, rather than the CHN’s features, could be the variable improving congregant health. Methodist’s Teresa Cutts, who directs evaluation of CHN, explained some challenges of interpreting the CHN’s results. “Data bias is definitely a problem. Those that register [for the network] do self-select, even from the congregations, so that is a factor.” However, she added, in Memphis so many people seem to go to church that attendance alone cannot account for the improvement. Another question is whether CHN’s success can be replicated elsewhere. Methodist did not invent the idea of offering patients emotional and logistic support. Community health workers save lives all over the world. CHN’s contribution may be how well it fits Memphis. Cutts doesn’t believe paying the liaisons is the right approach. She pointed out the corollary that a hospital that pays community health workers can also lay them off. "If someone does something for love and not money, you decrease the incentive if you start to pay them," she said. Four Detroit hospitals have developed an initiative inspired by CHN to address maternal health and infant mortality. Dr. Kimberlydawn Wisdom, chief wellness officer of the Henry Ford Health System in Detroit, called Methodist’s project a “beautiful natural fit” for Memphis. “You don’t have to pay a church to care,” Gary Gunderson said. A major difference between the Detroit and Memphis programs is that the latter relies heavily on unpaid volunteers who, by not being paid, “created a huge cloud of caring.” In Detroit, they’ll see if paying people can work as well. CHN’s most significant contribution may be demonstrating that a hospital adapting to and communicating with a complex patient community can make change. Detroit debt to the CHN is not seen in producing an exact replica, but by understanding that its project must meet its patients in their own communities. The program includes a social media element to reach young adults since they congregate on Facebook and Twitter instead of at church. Last year Wake Forest University’s hospital system in Winston-Salem, N.C., hired Gunderson away from Memphis to build a program like the CHN. In North Carolina, Gunderson will be adjusting the model to a new community. Regardless of what forces you see at work, CHN's personalized approach has generated excitement about how to better care for very sick patients. But even if the most promising CHN data holds up, the network has far more to accomplish in Memphis. In all likelihood, the city will continue to see its healthcare disparities for years to come. And so far the savings are insignificant for a sprawling urban medical center like Methodist with more than 11,000 employees.